2013. Hypnos is pleased to collaborate with Robert Rich on this deluxe reissue of Rich’s out of print classic ambient drone work. 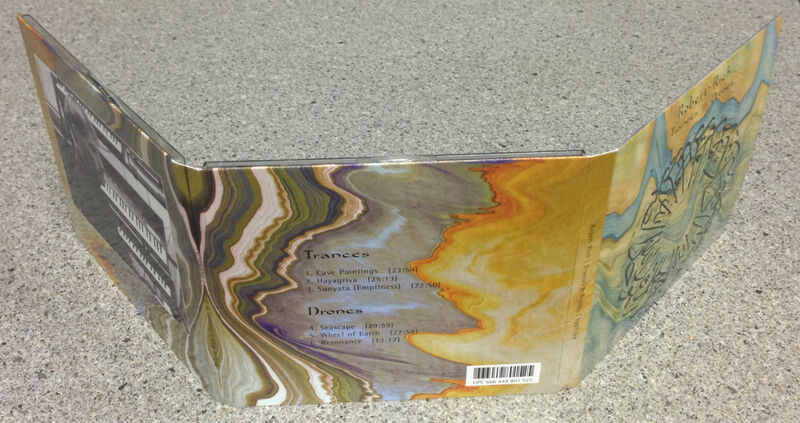 We’ve been working on a 2CD reissue of Robert Rich’s landmark album Trances & Drones. The album is going into production this week, so we should have an expected release date soon. Here’s a sneak peak at the cover. 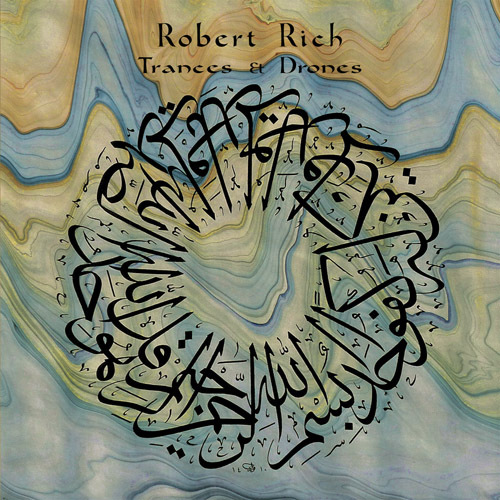 We wanted to incorporate the circular calligraphic figure that appeared on the covers of the first two versions of Trances & Drones, while at the same time giving it a different feel. 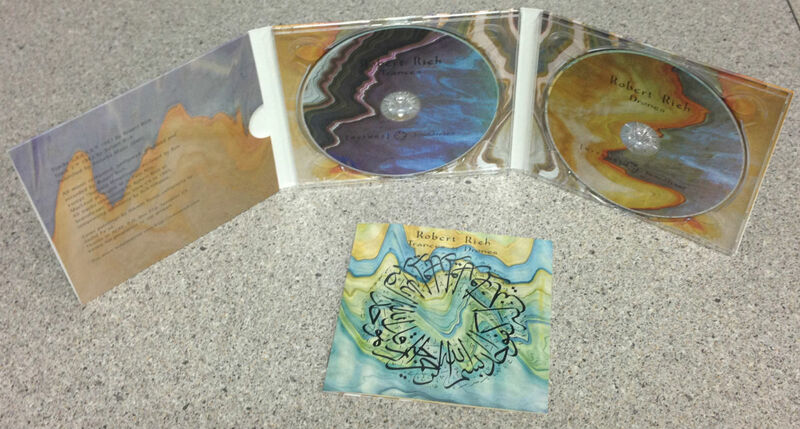 As with the recent Sunyata & Inner Landscapes reissue, this will be a special package – two CDs in a 6-panel digipak, plus an 8-page full-color booklet insert. This album was an important formative influence to my own ambient recordings as M. Griffin, and also to my philosophical approach to the genre as founder of Hypnos Recordings. It’s no exaggeration when I say the opportunity to release this music on Hypnos is among the most satisfying of all my endeavors as a label owner. 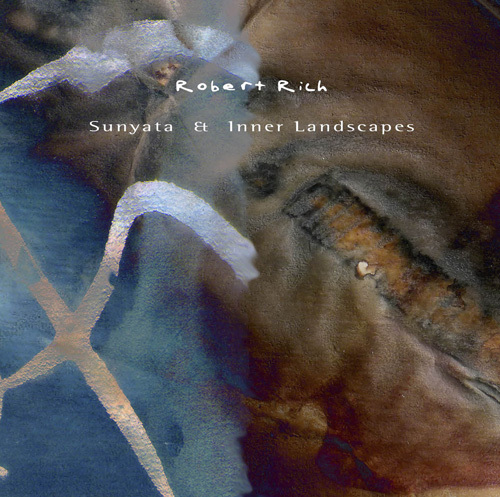 We appreciate everyone who ordered Robert Rich’s Sunyata & Inner Landscapes reissue. The special introductory price has ended. We intended to end this special introductory price this weekend, but because we neglected to announce the deal to our email list, we’re extending it until tomorrow, March 26. 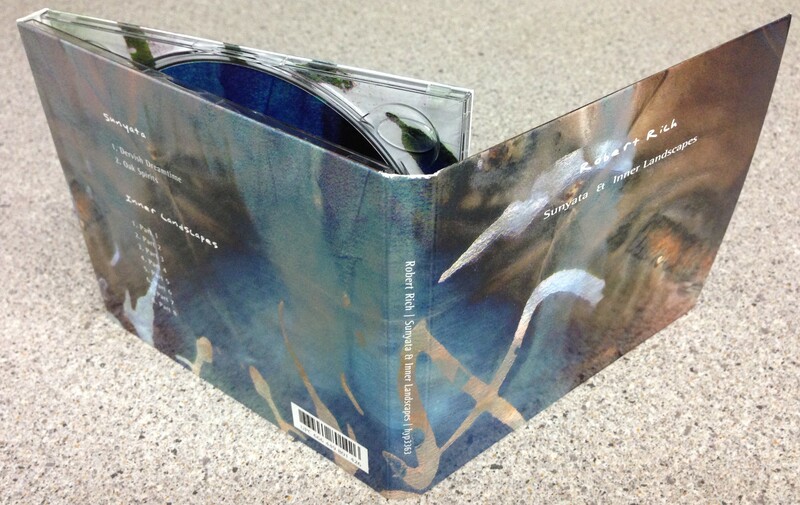 After that, the price goes back up to the usual $14.99 — still a great price for a double-CD in a beautiful package. 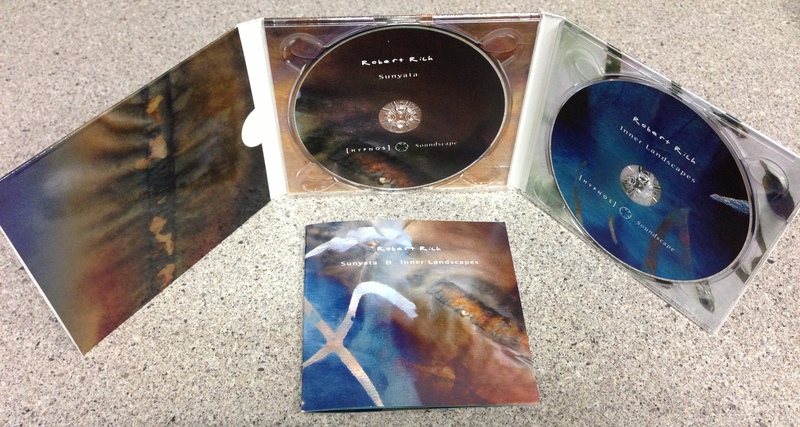 Very busy here, so still haven’t quite finished updating the Sunyata & Inner Landscapes 2CD reissue listing… but have managed to create MP3 sample clips for those who haven’t heard the music.